A history of bleeding has been reported as a risk factor for subsequent bleeding, but this observation has not been consistent. A history of nonbleeding peptic ulcer disease, however, has not been associated with subsequent GI bleeding. Other comorbid diseases have been associated with bleeding during warfarin therapy; these include treated hypertension, cerebrovascular disease, ischemic stroke, serious heart disease, and renal insuf- ficiency. The presence of malignancy was a significant predictor of major bleeding in several stud-ies. In two of these studies, overanticoagulation was not the explanation for an increased risk of bleeding, whereas in one study, the severity of the cancer was identified as a risk factor. Another study did not confirm that malignancy predisposed to bleeding, while others excluded patients with malignancies. Although many other patient characteristics have been associated with bleeding during warfarin therapy, the data supporting these findings are not compelling. For example, some studies noted an increased frequency of bleeding among women treated with warfarin, but others have not. Although most experienced clinicians believe that either alcoholism or liver disease increases the risk of bleeding during long-term warfarin therapy, two studies did not find such an association, whereas a large population-based study did. Occult pathologic lesions may also precipitate warfarin-related bleeding. In one study, 73% of adequately evaluated patients with a prothrombin time ratio < 1.5 at the time of bleeding had an underlying pathologic lesion, compared to 16% of patients with a prothrombin time ratio > 1.5 (p < 0.05). However, pathologic lesions were found to be associated with GI or genitourinary bleeding in 30% of patients with prothrombin time ratio > 2.5. Concomitant use of aspirin has been associated with a higher frequency of bleeding, even in patients treated with warfarin therapy with a mean INR of 1.5. In a large randomized trial comparing the combination of low-dose warfarin therapy and aspirin, 80 mg/d, to aspirin, 160 mg/d, in patients with a history of myocardial infarction, the frequency of spontaneous major hemorrhage during the first year of therapy was increased to 1.4% in patients treated with 3 mg of warfarin (INR < 2.0) and aspirin, 80 mg/d, compared with 0.7% in patients treated with aspirin, 160 mg/d (p = 0.01). In a large trial of primary prevention in persons at high risk for ischemic heart disease, the rate of hemorrhagic stroke was 0.09%/yr in those treated with low-dose warfarin (target INR 1.5) plus aspirin, 75 mg/d, 0.01%/yr with low-dose warfarin alone, and 0.02%/yr with aspirin, and none in the placebo group. Canadian Health Care Legal Pharmacy – www.acanadianhealthcaremall.com. Posted by James Lout on 23 March 2015 at 12:37 am under Treatment. I suffer with thrush. My diabetes has been well controlled for ten years now. I do regular blood tests and most of them are less than 10 mmol/L and, whenever I check a urine test, it is always negative. I have been taking the oral contraceptive pill for three years and I understand that both diabetes and the Pill can lead to thrush. Can you advise me what to do? Since your diabetes is well controlled and your urine consistently free from glucose, diabetes can probably be ruled out as a cause of the thrush. It sounds as if you are either being reinfected by your partner or alternatively it is an uncommon side effect of the Pill, and you should discuss the need for a change of contraception with your doctor. I keep getting recurrence of vaginal thrush and my doctor says that, as I have diabetes, there is nothing that I can do about this – is this correct? Thrush is due to an infection with a yeast (Candida) that thrives in the presence of a lot of glucose. If your diabetes is badly controlled and you are passing a lot of glucose in your urine, you will be very susceptible to vaginal thrush and, however much ointment and cream you use, it is likely to recur. The best treatment is to control your diabetes so well that there is no glucose in your urine, but if the thrush persists, you will need antifungal treatment from your doctor. If you keep your urine free from glucose, you should stay free from further thrush infections. 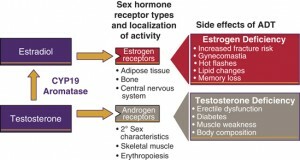 I want to try and avoid osteoporosis by taking HRT. As I have diabetes, is this sensible? HRT is the most effective treatment for the prevention of osteoporosis but because of the problems mentioned in the previous question, some doctors are cautious about recommending it as a first choice. The decision depends on your individual risk of developing osteoporosis. If you have a high risk, you may choose to take HRT and accept the small chance of unwanted complications; if your risk is low, you may prefer to try an alternative, which may be less effective but lessen your chances of complications. Please speak to your doctor about this. You should, of course, take general measures such as ensuring adequate calcium in your diet and taking regular weight-bearing exercise. Are the patch forms of HRT as suitable for women with diabetes as the tablets in GlobalCanadianPharmacy viagra? There is no known difference between tablets and patches; all the answers to the questions above apply equally to patches. Can you tell me if hormone replacement therapy for the menopause is suitable for women with diabetes? Hormone replacement therapy (HRT) for the menopause consists of small doses of oestrogen and progesterone given to replace the hormones normally produced by the ovaries. Oestrogen levels in the blood begin to fall at the menopause and, if this happens rapidly, it can cause unpleasant symptoms, such as hot flushes. Replacement therapy is designed to allow a more gradual decline in the female hormones. There has been a lot of publicity about the adverse effects of HRT in the last few years and there is some evidence to suggest an increased risk of breast cancer, thrombosis and stroke. However, these risks have to be balanced against the benefits of HRT. Posted by James Lout on 6 November 2014 at 1:18 pm under Diseases. Never leave your larynx to go through sudden conditions – from cold to hot and vice versa. Sour and spicy foods spoil your voice. Eat sweet foods for good voice. For a disciple, physical, mental, and spiritual work must be equally sacred. For a saint 1 hour is determined for physical work, 3 hours – for the heart and 7 hours – mental work. And some of you do not work. And now, due to idleness, deformation in the organisms starts. You begin to feel pain in the head, the stomach, the legs, the arms. It is good to have a garden, where to work for at least one hour to get rid of the useless energy. You will dig with a hoe if you want to be healthy. There are negative energies, which have to enter in the earth Australian viagra and cialis online. Overeating in the physical, spiritual, or mental worlds, leads to surfeit. It is not allowed surfeit in work, either. Surfeit also leads to numerous painful diseases. You need healthy food, no drinks or syrups, but only clean water, healthy clothes, homes with large windows, abundance of light, and at least two hours of physical work every day. The oils and pans shall be thrown away from your kitchen. It is a sin a woman to cook for 4-5 hours! What a culture is that? One hour is well enough for the preparation of the food, and the rest of the time shall be spent for spiritual work: reading, music, art and everything that can raise and ennoble the heart and soul. Soap is not necessary for people. Once a month it is enough for one to wash with soap. The face has the ability to wash by itself. Electricity and magnetism flow out from each cell and pore of the body, which wash both the face and the whole body. Modern people began to suffer with not-coming-out to a walk in the open air. We live like prisoners. Do you think that a building of 4-5 floors or 10 is healthy? If someone lives for a long time in the mountain, he will gain something for sure or lose much. He will become wild and rougher. If he lives for a long time in the valley is not good, either. There shall be changes. There shall be coming up and down. When you are on a walk in the mountain, go slowly, calmly, without haste. Stop at every one hundred meters for a short break of about 30 seconds per foot. The higher you climb, the slower you shall go. 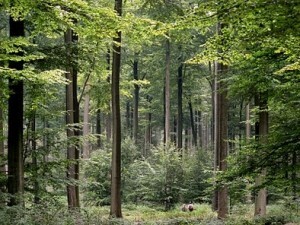 In this way you will adjust to the powers of Nature and you will use them wisely. www.australia-pharmacy.com – cheap viagra pharmacy. Sildenafil citrate australia online. Throw away the black glasses from your eyes! One has to look right through his eyes, clearly, without obstructions. The soul is open and free to enjoy everything. Behind each flower, there is a rational being stays, due to which it is not allowed they to be picked. It is allowed in an extreme case for remedy after the permission of the rational being. Posted by James Lout on 31 October 2014 at 4:02 pm under Prevention. Nasal patency is predominantly controlled by changes in the capacitance vessels. Nasal airway resistance is responsible for approximately two thirds of the total airway resistance. 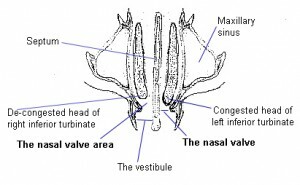 Primary sites of nasal obstruction to airflow include the nasal vestibule, the nasal valves, and the nasal turbinates (Fig 1). The nasal valve, the location of minimal crosssectional area of the nares, contributes most to total nasal resistance (NR). The entire nasal valve area resembles an inverted cone. It is bounded by the nasal septum medially, posterior end of the upper lateral cartilage, piriform aperture (lateral fibrofatty tissue, frontal process of the maxilla, floor of the nose), and the anterior head of the inferior turbinate posteriorly. This functional complex of compliant and dynamic tissues covers a distance of several millimeters. The valve lumen is regulated by lateral and medial erectile mucosa, modulated laterally by the tone of alar muscles, and stabilized by bone and cartilage. Septal erectile tissue, although not readily recognizable endoscopically, is clearly demonstrated by CT and histologically in cadaver studies. NR is greatest during infancy, decreases with age, and is primarily controlled by vascular engorgement in the middle and inferior turbinates. Exercise increases sympathetic discharge, which vasocon-stricts the nasal capacitance vessels thereby decreasing nasal airflow resistance. Similarly, sympathomimetic medications Canadian pharmacy viagra, such as oxymetazoline, decrease nasal congestion via topical vasoconstriction. The physiologic variation in nasal patency, known as the nasal cycle, is mediated by changes in the engorgement of the submucosal capacitance vessels in the middle and lower turbinates. The magnitude of NR alternates between the two nasal cavities every 2 to 4 h in 60 to 70% of healthy individuals. Posture also influences the degree of vascular congestion. Nasal obstruction increases bilaterally as a subject assumes the supine position, and increases in the dependent nasal passage in the lateral recumbent position. This may have implications in the development of SDB in susceptible individuals. Posted by James Lout on 23 October 2014 at 1:49 pm under Medicine. Our findings regarding overall LOS and cost are similar to a representative sample of US patients with COPD. This fact confirms the external validity of the BAP-65 in its application for outcome studies. The data concerning overall costs, furthermore, document the substantial economic burden of AECOPDs generally and provide more current information than prior analyses of the economics related to AECOPD hospitalization. Our analysis has several significant limitations. We used administrative data to identify patients with AECOPD. Administrative data may not be accurate buy Cialis Online for this purpose, particularly as no objective criteria truly define an AECOPD. Coding bias, therefore, may have affected our findings. However, our approach to identifying those with AECOPD has been used in other analyses of AECOPD outcomes. We strived to improve our diagnostic precision by restricting the population to patients > 40 years of age. This should minimize classification bias by excluding patients potentially with asthma rather than COPD. Alternatively, using a database approach afforded the opportunity to validate BAP-65 in a very large population. Similarly, the retrospective nature of our study provides a limited substantiation of BAP-65. Formal use in a prospective cohort for validation would be optimal. However, many currently used risk tools in pulmonary medicine, such as the Pulmonary Embolism Severity Index score, have only recently been prospectively evaluated despite their increasing clinical acceptance. We additionally lacked information on certain measures used to gauge the severity of chronic COPD, such as lung function. We expressly attempted to develop and validate a risk system that only required information that was routinely available to frontline clinicians. Spirometric data, for example, are not often available to the physician in the ED, and patients with AECOPDs may be too ill to perform spirometry. Posted by James Lout on 14 October 2014 at 12:32 am under Health Care. Their overall hospital mortality, 7%, was higher than what we noted in our population, perhaps reflecting the single-center nature of their study. In the report by Roche three factors predicted in-hospital mortality and included age, clinical signs of AECOPD severity, and baseline dyspnea as measured by the British Medical Research Council grade. Points were assigned based on the presence of these variables, and the overall score had moderate sensitivity and specificity: 74% and 68%, respectively. Although the score proposed by Roche appears moderately accurate, the BAP-65 appears better suited for clinical use. BAP-65 has been validated in a broader distribution of patients treated in a variety of hospital types (eg, academics vs community, large vs small). In addition, Roche failed to examine if and how their score predicts need for MV or any measures of resource use. Furthermore, their score is somewhat more cumbersome than BAP-65. The Roche algorithm requires that the clinician analyze multiple factors that represent “disease severity” into a separate variable. Clinicians are also unlikely to use the British Medical Research Council dyspnea grading scheme at bedside. This necessarily mandates going through added steps and making subjective, rather than objective, judgments regarding signs and symptoms. The components of the BAP-65 are essentially objective. This aspect of the BAP-65 underscores that it can be applied with consistency, reliability, and generalizability—all crucial aspects of any potential clinical tool. The BAP-65 class significantly correlated with both LOS and cost, making the system potentially useful for economic risk stratification and benchmarking purposes. MV = mechanical ventilation; NPV = negative predictive value; PPV = positive predictive value. See Table 1 legend for expansion of other abbreviation. Posted by James Lout on 13 October 2014 at 12:29 am under Diseases. This exercise helps for regulating the nervous excitement, for calming the brain and strengthening of the memory. In the morning and before lunch breathe in through the left nostril and breathe out through the right one. In the evening breathe in through the right nostril, and breathe out through the left one. You will do exercises by 21 times a day: in the morning, before lunch and in the evening by 7 repetitions. Breathing exercises of another nature. In these exercises there are certain thoughts, certain formulas, which have to be silently said. For example: while breathing in, holding the breath, and breathing out, you can say the following words: “Thank You, God, for the blessings that you have given me.” You can silently say: “Our Father” while breathing in, as well as while holding the air and breathing out. You can do such exercises in the morning, at noon and in the evening by 10 repetitions. You can also silently say: “The Good Prayer” – 1 time in total. You can silently say while breathing in the words: “power”, “life”, “health” (3 times). You will do the same while holding the breath and while breathing out. You can do this exercise in the morning, at noon and in the evening by 10 repetitions. When you take in the air, you will silently say the word “life”, while holding the air, you will pronounce the word “power” and while you are breathing out, you will think on the word “health”. You will slowly, calmly breathe in, hold, and breathe out again slowly, while you are thinking on the above words. Breathing out: “This Divine life strengthens me and I show this out through my activity.” Under Divine life it is understood prana. You will vividly imagine how prana oozes from cell to cell, from organ to organ and spreads everywhere. Breathing exercise. You will breathe in through the left nostril. At that time the right one will be closed. While breathing in, you will silently pronounce the formula: “Only the love of God is love.” By holding the air for a while, you will open the right nostril and slowly breathe out by saying the same formula. At that time the left nostril will be closed. Do the exercise three times a day: in the morning, at noon and in the evening when you have time. At each exercise you will breathe in and out 3 or 10 times. Exercise. Breathing in through the left nostril. During this time the words: “Let God’s name be glorified in me.” are silently pronounced. While holding the breath, the words: “Let the kingdom of God and His righteousness establish in me.” are pronounced. While breathing out, it is pronounced: “Let God’s will be done.” It shall be breathed in through the left nostril 5 times. Then the opposite – 5 times it shall be breathed in through the right nostril and breathed out through the left one. Posted by James Lout on 2 October 2014 at 1:25 pm under Treatment. We describe a case of eosinophilic esophagitis in a 38- year-old man with aspirin-sensitivity asthma which presented as noncardiac chest pain. Manometric mea­surements demonstrated tertiary contractions. Biopsies showed a dense eosinophilic infiltrate in the mucosa. There was no response to therapy for reflux. Symptoms quickly resolved with corticosteroid therapy. Subsequent manometric values recorded after corticosteroid therapy showed resolution of the dysmotility. Biopsies showed normal mucosa. Adult asthmatic subjects with noncardiac chest pain should receive further investigation if reflux therapy fails to resolve the symptoms. The most common esophageal symptoms in asthmatic subjects are due to gastroesophageal reflux. Reflux may worsen the asthma, and control of the asthma may not occur until the reflux is adequately managed. Many medications used to treat asthma decrease lower esophageal sphincter tone. This may contribute to the reflux symptoms. Therefore, reflux is commonly seen in both children and adults with asthma, both as a cause of the asthma and as a consequence of treatment. In this case report, we describe an asthmatic patient with a long history of reflux who develops a new chest pain syndrome related to, but distinct from, the reflux. Initial attempts to manage the reflux did not decrease the pain. A diagnosis of dysmotility was made by esophageal manometric measurements. Mucosal biopsy demonstrated eosinophilic esophagitis. The patient promptly responded to corticosteroid treatment. A 38-year-old man with asthma was seen for a 1-month history of atypical chest pain. The pain was substemal, squeezing, and did not radiate. The pain often awoke the patient at night. Sometimes the pain was preceded by heartburn. It was partially relieved by antacids and swallowing cold liquids. The episodes of pain would last from 15 min to several hours. There was no shortness of breath or diaphoresis. There was no exertional component. The chest pain was preceded by a 2-week history of increased nasal discharge. There were no new medications, new foods, or changes in diet. Posted by James Lout on 25 September 2014 at 5:10 pm under Other. Recently, it has become apparent that invasive thymoma is relatively sensitive to combination chemotherapy and that survival is relatively long. In two fairly large series using the РАСregimen or a combination of cisplatin, doxorubicin, vincristine, and cyclophosphamide, overall response rates ranged from 70 to 91.8%, with median durations of response averaging 11.9 months and median survival ranging from 15 to 37.7 months. Recendy, РАСwith etoposide and concurrent granulocyte colony-stimulating factor had been used for advanced thymoma or thymic cancer with a reported 42.9% response rate (all partial remissions) but with significant bone marrow toxicity. The РАСregimen was chosen for our patients because of the favorable response rates noted. We substituted carboplatin for cisplatin for easier outpatient administration. The concurrent use of oral prednisone in case 1 was not a likely confounding factor because his tumor progressed during low-dose steroid therapy. Our patients developed progressive thymoma after ini­tially responding to combination chemotherapy consisting of cyclophosphamide, doxorubicin, and carboplatin. The standard treatment options for this situation, in order of decreasing effectiveness, are a subsequent surgical resection, radiotherapy, and corticosteroid use. There are reports of small prospective trials of second-line chemotherapy using various regimens (single or in combination) with disappoint­ing results.3 7 The role of low-dose oral etoposide in the management of recurrent thymoma has not been evaluated in clinical trials although there are reports of some efficacy as first-line therapy in combination with cisplatin. We elected to use the same chemotherapeutic regimen to treat our patients’ recurrences because their disease had re­sponded to the РАСregimen previously, because the disease-free interval was greater than 6 months, and because there was evidence that secondary responses occurred with the same regimen in lung, breast, and ovarian cancers as well as in Hodgkin’s lymphomas. Higher response rates were noted when the disease-free intervals were greater than 12 months in breast cancer, 24 months in epithelial ovarian cancer, and 12 months in Hodgkin’s lymphoma. The disease-free intervals in our patients were 14 and 60 months, respectively. Several investigators have reported cases of second-line chemotherapy using different regimens with mixed results. In three patients who had relapses following therapy with a regimen of combination cisplatin, doxorubicin, vincristine, and cyclophosphamide, treatment with cisplatin, etoposide, and ifosfamide resulted in stable disease in two patients.3 Only one other report of a response to salvage chemotherapy with the same regimen was noted in the medical literature. Kosmidis et al reported a case of unresectable invasive thymoma treated with radiotherapy with an 80% response but 4 months later there was disease progression. Local recurrence was treated with cyclophosphamide, doxorubicin, and vincristine, which produced a partial response. The patient refused further treatment against medical advice. Nine months later, the patient presented with renal and abdominal lymph node metastasis. This was treated with the same combination of drugs, again producing a significant improvement consisting of a more than 50% reduction in tumor bulk, noted both clinically and radiographically. The patient eventually had a relapse 9 months after reinitiation of chemotherapy and died of renal failure. Posted by James Lout on 25 September 2014 at 5:06 pm under Other. A 54-year-old white man without any significant past medical history presented to our institution in June 1989 with a 4-year his­tory of vague anterior neck swelling and discomfort. A neck MRI at this time demonstrated a large solid soft-tissue mass in the lower area of the left side of the neck with mediastinal extension, tracheal deviation, and left innominate vein occlusion. A chest radiograph suggested a right pleural effusion. He was subsequently admitted to the hospital, and a needle biopsy of the neck mass demonstrated malignant thymoma. He received 3 courses (every 21 days) of cy­clophosphamide (500 mg/m ), doxorubicin (50 mg/m2), and cis- platin (50 mg/m2) from July 28 to September 20, 1989, resulting in a 50% reduction in the tumor size and resolution of the pleural ef­fusion. A thymectomy was performed in October of 1989 with re­section of all visible tumor. He had mediastinal radiotherapy (60 Gy) thereafter, completing treatment in December 1989. He did well for 5 years until February 1995 when he presented with cough and hoarseness. An ear, nose, and throat evaluation revealed left vocal cord paralysis, tracheal deviation to the right, and a palpable mass in the suprasternal notch adjacent to the left sternoclavicular joint. A CT scan of the neck and chest demonstrated an ill-defined 3.0×2.5-cm mass to the left of the trachea at the thoracic inlet and a 1.5×2.0-cm anterior mediastinal lymph node. Recurrent thymoma was confirmed by ultrasoundguided biopsy of the tumor. He began 4 courses (every 28 days) of carboplatin (300 mg/m2), doxorubicin (40 mg/m2), and cyclophosphamide (400 mg/m2) from Feb­ruary to June 1995. A postchemotherapy chest CT scan showed that the tumor and anterior mediastinal lymph node were no longer detectable. A positron emission tomography scan done 2 months later revealed no evidence of malignancy. He continues to do well and remains in remission as of February 1996, 8 months after his remission was noted. Posted by James Lout on 25 September 2014 at 5:00 pm under Other.